Rachel Dylan | Faith in Times of Fear » Lone Witness Pre-Order Bonus & Giveaway! Lone Witness Pre-Order Bonus & Giveaway! To receive the BONUS content, pre-order your copy of LONE WITNESS and fill out this FORM. 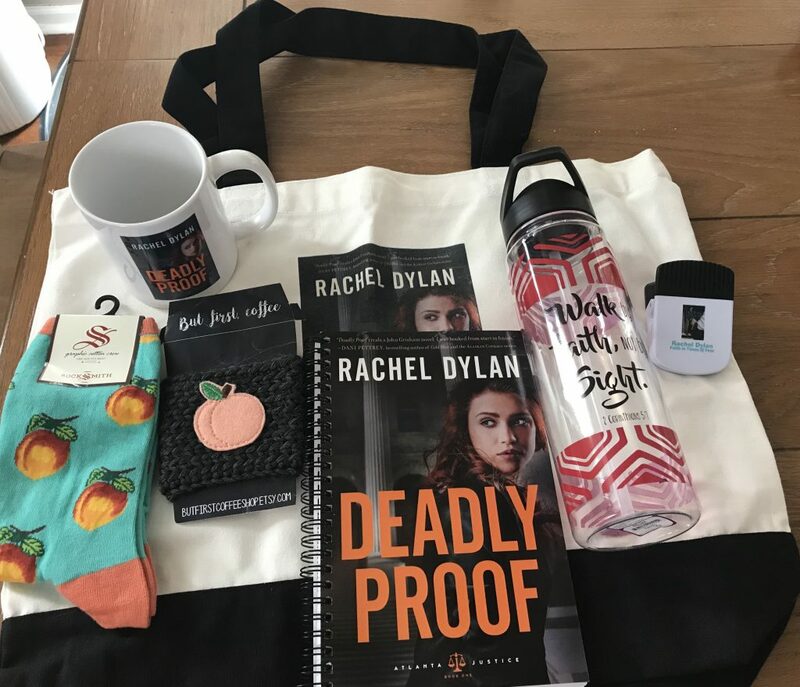 A Deadly Proof tote, notebook and mug! Congrats Brenda W. You’re the winner! 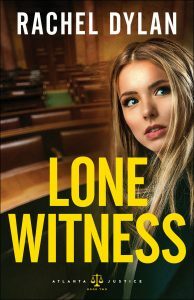 Are you excited about the release of LONE WITNESS? Great giveaway! Can’t wait for the release! Thanks for a great giveaway. So looking forward to April 30! Thanks for the great giveaway. Looking forward to the next book. Great Giveaway! Congratulations on the new book! Love your work! Thanks for everything!! Deadly Proof was awesome! Looking forward to more of the same from Lone Witness. Love the series, and Rachel’s writing is excellent. What a great giveaway! I really enjoy Rachel’s books! Can’t wait for this new book! Thank you for the giveaway opportunity. Loved Deadly Proof! Can’t wait to read Lone Witness!! Wonderful prize package! Yes I’m excited!! Can’t wait!! And thanks for the giveaway too! I’m very excited for the release of Lone Witness. Deadly Proof was great! Thanks for the chance to win. Great giveaway. The book sounds awesome. I am excited to win. Looking forward to another one of your books. Very excited about the new book and giveaway. Ordering book now. Great looking book, an wonderful giveaway. OMGness! I really want so win this. If I don’t win is there a way to purchase any of these items? Hi Amanda–they aren’t for sale, but I have other giveaways planned that may contain similar items. So excited for your upcoming release of Lone Witness! It looks suspenseful, exciting and hard to put down! Awesome giveaway. Looking forward to reading. I can’t wait to read your new release! What a beautiful way to celebrate an upcoming release. I can’t wait to read it. Great giveaway! I can’t wait for release of Line Witness in May 1st!! Thanks for a wonderful chance at a GREAT prize. Congratulations on another great book! Can’t wait! I LOVED Deadly Proof! Looking forward to the nrw book! Can’t wait to read book 2! Great giveaway! I am very excited about your new book! I’ve been a huge fan for years. Would love to be entered in your giveaway. I discovered you as an author a few months ago and love the books that I’ve read so far. Looking forward to your new release. Looking forward to your new book! New author to me and YOU are the “Lone Witness”! Great giveaway! Can’t wait to read your new book! Love this giveaway! Thanks for the chance to win! Great giveaway! Can’t wait to read this one!!! Love the cover, and looking forward to reading! Ready to jump in and read! I can’t wait for the release of Lone Witness!! Cannot wait to read this book. Great author. Thanks for the contest. Can’t wait! I absolutely LOVED Deadly Proof! Excited for you and thank you! Deadly proof was a very good book. I shared it with my sister, a co-worker, and a friend who is under hospice care with pancreatic cancer. They all enjoyed the book. Congratulations. This is very exciting! The book looks amazing, Thanks for your great generosity. Thanks for the great giveaway!I appreciate the chance to win! So looking forward to reading this!! I cannot wait for this next book!!!! Awesome! I loved Deadly Proof! I cannot wait to read! Looking forward to reading “Lone Witness”. I just started a new job and would love to win the giveaway. It would be perfect to have at work. Bring it on! Love her books. Looking forward to your newest book! God bless you as you make an impact for Him through your books! What a fun package! Looking forward to the new book. This sounds like a wonderful series that my friends and I would enjoy! Thank you for this opportunity to enter! Looking forward to reading your book. Thank you for the chance to win nice prizes! Thank you so much for the chance. Congratulations on your release. Congratulations on your newest release! Can’t wait to read this! Thanks for the chance! Yes, looking forward to it! Love your writting can’t wait for this new book to come out. I cannot wait for your next book! So excited to read this! Sounds good! Interesting book and great giveaway! Thank you for this terrific chance. Thanks for the giveaway! I can’t wait to check out and read your books. This sounds very interesting. I would love to read it. Great giveaway thanks for the chance to enter. I’m new to your books. They look interesting! I’ve never read any of your books, but would love a chance to read them. I would love to read this!! I would hate to be a “witness to a double homicide involving a vengeful gang.” Sounds like a taut thriller! Congrats on the book hope that I can read it soon. Can’t wait to read this one! I loved Deadly Proof! Awesome giveaway! Thanks for this opportunity. Sounds like a fantastic book! Yes, I’m excited. Thanks for the giveaway. Thank you for the chance to win can’t wait to read. I like these kinds of books. looking forward to reading this! Yes, I am super excited to read this new book! So excited! Thanks for the chance to win. Can’t wait to read it! Have not tried one of your books. They sound great! Am hoping to win the Justice prize. I’m not familiar with your work and would love a chance to read your book. Cannot eait to read Lone Witness!!! Thanx for the fun giveaway! This giveaway sounds and looks great. I’m excited for the outcome!! I am so excited for the release of Lone Witness. I can’t wait to read it. Thank you for the chance to win. You are a new author to me so I am looking forward to your new book. Looking forward to reading it! Thanks for the great contest. Great Prize Package and would enjoy reading this book. Never read her book but would love too and the prizes are great. What a great giveaway for a GA original! Thanks for the chance to win. Great giveaway. The book sounds awesome. Congrats!!! What a sweet giveaway. I’ll be honest, I haven’t read any of your books before, but I very much intend to look you up in my local library! I LOVE christian fiction especially mystery/suspense type! I am excited that I found this post! Can’t wait! Thanks for the giveaway! Great giveaway and a great series! This series looks intriguing. Thanks for the opportunity to win your giveaway! Great giveaway. Looking forward to the next book. Thanks for this wonderful giveaway. Sounds good! Thanks for the opportunity! You are a new to me author, but am going to put your books on my TBR list! Great prizes. Thanks for the chance to win. Yes, definitely excited for this new release. Great giveaway and best wishes to the winners! I am very excited about this release. Great giveaway and you would be a new author to me. Sound like really good book. Looking forward to the giveaway and a wonderful series. Really enjoy your books! God bless! Thank you so much for this fun giveaway. I haven’t read a lot in this genre, but it would be great to try it out! Thank you for the opportunity to enter this great giveaway! I love Atlanta, most of my family is in that area! This looks like a great book! Can’t wait to read it. I love these mysteries. I can’t wait for the release. Thanks for this opportunity. Looking forward to another great read. Looking forward to reading it! Thanks for the opportunity to win such a great prize pack! We have the first book in this series in the church library. Thanks for entering me in your giveaway. Thank you for the awesome giveaway! I loved Deadly Proof and am super excited to read the next book. Thanks for the chance to win. Yes!! I am super excited for Lone Witness to come out! I loved Deadly Proof! This looks like a very interesting book, looking forward to reading it! I’d love to read this book, thank you for the giveaway. The water bottle has a good Godly reminder for we Christians, how nice of you to include that. It would be a great witness to others. I’m so excited for the release! Thank you for the giveaway! Your book looks awesome! Thanks for the giveaway. great giveaway, i love trying new authors. Congrats on the new book! I can’t wait to read it. Congrats on the new book! Thanks for the wonderful giveaway!! I love the covers of this book series!! And Rachel, I love your books! I plan to gift this one to several reader friends!! Great give away! I love those peach socks! 🙂 Thanks for sharing! I love discovering new authors and and participating in giveaways! This is a great series, Rachel! I am loving it a lot. Great books! I am looking forward to reading the new book. Looking forward to reading this new book!!! Would love to win in this giveaway! I really enjoy your books. . . Looking forward to your newest one! Take care and God bless! I would love to win this! I love your books! Looking forward to this story!! I’d love to win this giveaway! Your books sound awesome…I’ve just now heard of them. Can’t wait to read! Thanks, again, Rachel, for this opportunity to enter your giveaway! Would love to win one of your print copies of your book! I really enjoy romantic suspense, so am looking forward to read more of your books! God bless you. I thoroughly enjoyed the 1st book in your series and can’t wait to read the next! Thank you for offering this giveaway. It’s amazing! Congratulations! What a great giveaway! Feb, 23: Trial & Tribulations Audio Giveaway! Sep, 10: Witch Wake-Up Call? Apr 30, 2018: Lone Witness Release! Jun 24, 2016: Exciting News!